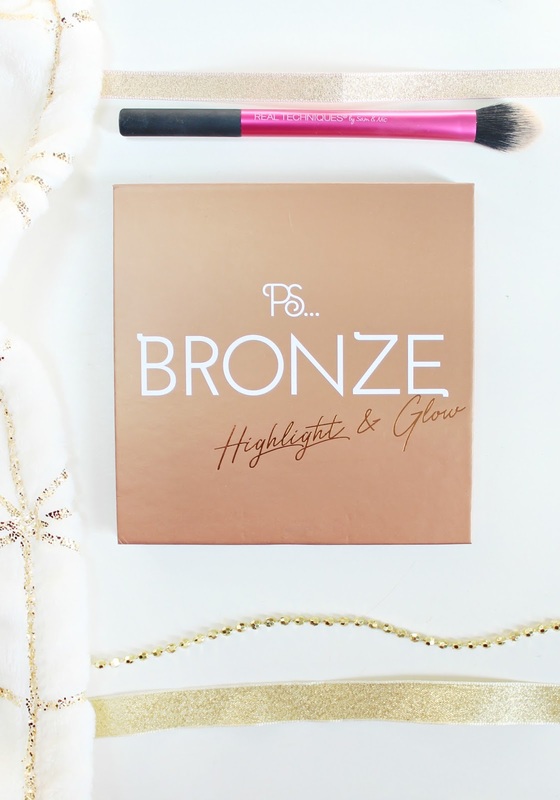 The P.S… Bronze Highlight & Glow Kit. We should probably get this out of the way first – it is definitely a product heavily inspired by the Anastasia Beverly Hills Glow Kits, except only a fraction of the price. The ABH kits are £39 or more, whereas this little kit from Primark is £4. Seriously, I’m not joking. £4. Now of course, even at a price that affordable, I wouldn’t say to expect less from this kit – it definitely is a beautiful palette that rivals the higher end brands. The price just makes it even sweeter. Just like the ABH Glow Kits, there are four shades in a square flip lid palette. The pans are incredibly large – I don’t own the ABH Glow Kits so I can’t compare, but I have seen them in Sephora and I think they’re pretty identical, if not the same size. The shades are slightly different, but stunningly pigmented and smooth as silk. Super impressed. The shades names are all to do with summer – Sunbeam (an icy vanilla), Siesta (soft rose gold), Sundown (warm peach gold) and Pool Party (antique gold). The shades seem to have an equal smoothness and formula across the palette, I haven’t had any issues with patchiness or fading. 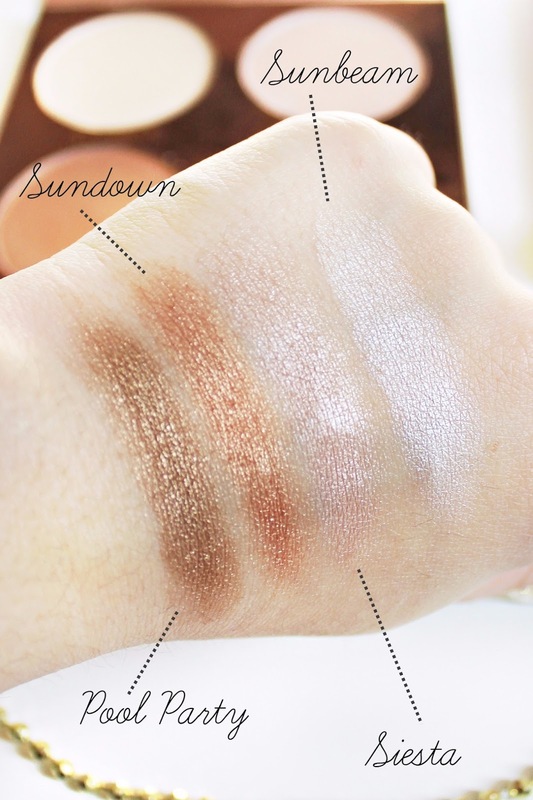 The highlight is strong so (like the ABH highlighters) this kit is not for the faint-hearted! I also wanted to mention that this palette would suit all skin tones – the shades are really versatile. I like using the top two pans for highlight, and the bottom two pans for a gorgeous bronzed smoky eye. For deeper skin tones, the bottom two pans would work beautifully as a warm, strong highlight throughout the summer. 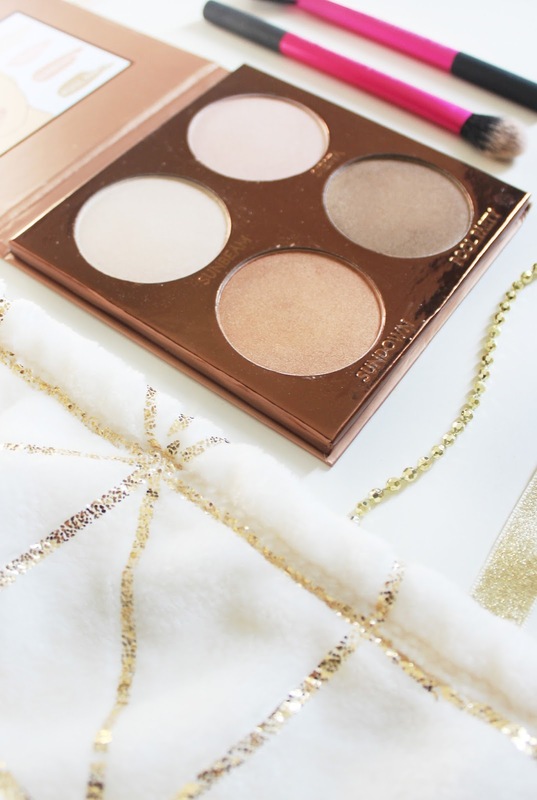 All in all, if you have a Primark near you – get your hands on this palette! Highly recommend, it’s such a steal! Previous Post My New Jewellery Storage. Next Post Bloggers Made Me Buy It.